Created to contine a topic that came up in The Outer Worlds Thread. Essentially: Is Epic Game Store competing good? FWIW I am planning a Kickstarter campaign for a game and I am specifically targeting the Epic Game store. Plus, for a long shot, if they see promise, they have proven to open their pocket books in support for exclusives. I am quite down on their tactics. They have taken a very anti-consumer stance with their exclusivity deals. They are not competing through offering a superior product to Steam, but rather monopolizing where certain games can be bought and played. Their store is ridiculously barebones and its newness shouldn't be an excuse for it to be as poorly implemented as it is. Furthermore, should Valve decide to start doing what EGS is doing, consumers are just going to lose all around. So far Steam has decided to compete by offering better features, but if things go as they are, I can't imagine Valve not throwing their own piles of money at exclusivity deals. For that plan to work, you have to target Steam first. Why shower you with money if they already got you! Yeah, Epic Store competing sounds good. Hopefully they start doing that someday. Otherwise I agree with BoogtheWoog, we can just end up with a few shops buying out exclusives for themselves, creating a bunch of small monopolies who can set their prices accordingly. Maybe even destroying all the smaller competitors, who do not have a big bank account for that. I'm just a simple unfrozen caveman, but calling what Epic is doing "exclusivity" as it's usually understood, "anti-consumer" or "monopolistic" baffles me, especially next to what I understand Steam is like already. Yes, it’s good. You don’t make a splash against someone like Valve without, well, making some waves. Devs like the higher cut they get. Most of the exclusives are only for a year. Epic is giving away free games. Once they get some momentum and a decent library, I think most folks won’t really care that there is more than one launcher they need to install. We’ve already seen a few groups tackle that challenge to bring all your game libraries together. Epic has the cash and infrastructure to be in this for the long-haul, so I’m more optimistic about them than some of the other contenders out there. They give publisher money to be the only seller (either permanently or time-limited). Isn't that exclusivity? It is in such a way that ironically requires one to say "I play games exclusively on Steam." Not even "I play games exclusively on PC," which as exclusivity is usually used, would pose a problem for people if they couldn't play it on their PCs. But they can. Hence bafflement. If I understand the argument correctly, Steam isn't a monopoly because you can buy Steam keys from third parties. The games may activate on Steam, but it gives you buying options. The fear is that Epic will have no incentive to allow that to happen or to offer the deals that Steam does. I think that Epic is trying to attract a user base, but doesn't plan on doing exclusive deals for along or as much. I don't really agree that the exclusivity that they are buying is that anti-consumer. Okay, you have to download another launcher. Big whoop. There may be deals lost? Well, maybe that's part of the attraction for game makers. There aren't going to be sales on a game that hasn't launched yet. I have a hard time caring either way. Why does exclusivity have to be in relation to hardware? Exclusivity is limiting the availability to something, as I understand it. What other word would be better to use? There certainly are games which are exclusive to Steam too, but not any that were bought to be so afaik. I think I would say that Steam is a near-monopoly as a gaming platform on PC. But not a monopoly as a game shop. Since the shop part is where prices are determined, there is price competition at least. As well as competition on how much of a share the publisher gets. 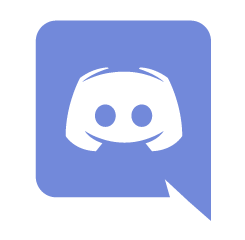 One could argue Steam is using their platform monopoly to keep others out of the peripheral game app market (no idea what its called, but I mean friend list, voice chat, game patching, mod support etc), but then Discord is doing quite fine with their voice chat/community app, so Steams hold on those features are not all-powerful. Might not really qualify as a monopoly either. And yeah, my fear (well, it is a fact currently, calling it fear, sounds like something you merely think might happen) is that Epic creates a shop monopoly, with no price competition, and more expensive games. But also negatively affecting features. If you have a monopoly you dont need to care as much about your support or the platform the game runs on. They are stating that is indeed their plan. But who knows. Facebook is stating every other day that they will totally stop abusing your data too. For now it makes sense to comment based on how things are, not how they might become. For Epic to have the Monopoly then they would have to run Steam out of business and that's determined by the consumer. If all these No-Steam No-Sale boy-cotters stick to their guns and wait for a Steam launch then Steam isn't going to be hurting. Even if they do, Epic is going to have to do more to keep the consumer away from Steam than just a handful of exclusives. Competitive pricing is going to be one of those things. Calling Epic a monopoly is not commenting on how things are. They are a monopoly (well, within the digital PC market, which is what we are talking about) on the market of selling Metro Exodus, Hades etc. The only thing that bugs me is the whole Tencent thing in the background of Epic. They're good for developers, which ain't nothing, but the're not really doing much for consumers right now apart from token free games. They're competition for Steam in the same sense Origin is: nowhere close on features, but because of their exclusives they can't be ignored. Yeah that's worrisome to me as well. It doesn't, but hardware exclusivity is considered onerous because the consumer needs to buy some potentially expensive hardware. I don't want to say downloading another middleman widget isn't onerous for a whole variety of reasons, but it isn't nearly as onerous. If a metaphor can be forgiven, decrying this exclusivity really does feel to me like walking up to a double door, seeing a sign that says "Please Use Other Door," and claiming this is an accessibility issue. This seems much more legit as a concern. Wish I heard more like those. It doesn't, but hardware exclusivity is considered onerous because the consumer needs to buy some potentially expensive hardware. I don't want to say downloading another middleman widget isn't onerous for a whole variety of reasons, but it isn't nearly as onerous. Sure. But downloading another app is not the issue. Well, not to me anyway. I believe I have pretty much all apps installed for any PC 'platform' I can think of. The exclusivity is about being the only seller of the product. Tencent, Disney, and Endevour are minority shareholders. Along with KKR, ICONIQ Capital, Smash Ventures, aXiomatic, Vulcan Capital, Kleiner Perkins, and Lightspeed Venture Partners. Epic is still ran by Tim Sweeney who is the majority shareholder at 50+%. Almost everything I've been seeing about being pissed about this whole thing basically devolves down into people being pissed that their DRM'd libraries are being split. Valve has essentially a monopoly on the PC market for years now and almost every third party store gives you a key to steam. Meanwhile they've done nothing for the industry in a positive way since then. They've introduced gambling for skins, a card system that went absolutely no where, and oh they also only have a problem with racist sh*t being in the store if people throw a fit because then it's no longer 'viable for business'. They've needed a challenger for years and I'm glad Epic is doing it. Exclusivity, even temporarily, has been a thing for years in the console market, and if developers can earn MORE money for their hard earned f*cking work then more power too them. They've literally not raised the price for any title, in fact Metro was cheaper. Those bitching about monopoly, why was it okay when Valve was the solo contender? There have been loads of games that could only be purchased on steam. There wasn't a big stink raised because steam WAS IT at the time. Also all those third party key sellers(aside from gog) would give you keys to steam and you better believe steam got their cut. Additionally, "only seller of the product" requires at least one asterisk. I'm torn on this, because I'm happy for any competition to Steam's monopoly, but I have purely personal reasons for avoiding Epic like the plague. I wish it were almost any company other than Epic doing this, to the point that I'm probably going to go ahead and wait the year of exclusivity out on things like Phoenix Point and Satisfactory. I don't trust epic at the moment so I wont buy anything from them. Once they except paypal I'll consider buying from them. They do accept PayPal? At least that's how I purchased Satisfactory. Everyone claims Steam do not get their cut. Haven't we been over this one already. There surely is a difference between paying someone to exclusivity (or forcing them somehow), and someone choosing only to release their game in one place. Both are 'only one seller' (well, in Steams case, it's not really, due to the third party sellers, afaik most games on Steam do allow third party sellers), but the intend is different. It is kinda hard to blame the shop for what the publisher does. But no, publishers should preferably not only sell their games at one place either. But it feels like we are going back to the weird concept of, if Steam is bad then Epic must be good, or vice versa. They can both be bad just fine. They've literally not raised the price for any title, in fact Metro was cheaper. No that is not a fact. It was cheaper in some countries, same price or more expensive in others. You know, before reading this thread, I never would have thought to call a company a monopoly based on its sole rights to a specific product. A type of product, sure. But to use an older example, I wouldn’t have called Nintendo and Sega monopolies, though you could only play some titles on one platform or the other. Similarly, I wouldn’t say that Disney has a monopoly on Star Wars or that JK Rowling has a monopoly on Harry Potter. But then, I think there is something to calling these practices monopolistic. I haven’t yet checked out the Epic Game Store, though. I agree they might not be monopolies in an economic sense, since people would in all likelihood consider games to be substitutes. So if you can buy game X in one place, and game Y in another place, then everything is fine. But imo games are not really substitutes in the sense that lots of products are. Playing Call of Duty is not more or less the same as playing Slay the Spire or whatever. So it seems fair to call it monopoly when you are the sole provider of a specific game. But the word is not the important thing here, I'm certainly open for using a better word. I do not agree with the comparison to Disney and Star Wars etc. Disney is the producer - not the seller (I mean, they are of course the seller to the stores, but they are a step further back in the chain). The sellers here are the cinemas, streaming services etc. Where there were lots and lots of sellers. In the gaming world, the company publishing/making Metro Exodus is Disney, Epic is the cinemas. How I see it at least. You have someone like Netflix then, who are both producer and seller. But being the only seller on something you are producing yourself is kinda different. While it would surely be better if EA sold their games in multiple places, it is not the same thing. Nobody is saying Epic is bad for being the only one selling Fortnite stuff. I’m on the outside looking in, having abandoned PC gaming a while back, but I don’t think the fuss is justified. I never cared where I got a game from. I very much agree with SpacepPolice. I could sympathize if there was a cover charge to get an Epic Game Store account. I also see it as the natural maturation of the market. Most retail chains have exclusivity deals with certain suppliers. It’s a way to stand out amongst competition. It doesn’t meet the legal definition of monopoly in any way. It’s anti-consumer only in the way that all capitalism is anti-consumer. It’s anti-consumer only in the way that all capitalism is anti-consumer. Fair point I won't argue about that. Epic is not worse than lots of other companies in the world. Merely bad. And a worse situation than what we had before, which is probably why people care. Over time you get used to how things are. I checked just before I posted and their blur said they didn't. Must be old info. Epic recently announced bringing their keys to Humble. I'm sure as that gets established and opened up you'll see their keys elsewhere on stuff like Fanatical and Greenman and whatever else. Steam has had almost 16 years to establish their features and they stopped innovated after...5? of them. Epic's roadmap looks great, they already accept paypal because that's how I make purchases with them, and they've been pretty clear that community forums, reviews, and so on are not going to be part of their platform because it was very abused on steam. Look, taking Metro from steam was a big problem because purchases already went through. They said it themselves they don't won't do anything like that again. Going forward though, any developer who sees Epic as a viable place for them to earn more for the product they've put tens of thousands(maybe even hundreds) of hours into, then shouldn't be applaud that? Without those developers we don't have games, and that industry is TOXIC. You know what else I like? Steam 90% bloatware now and epic has committed(for now) to curate their stores. That's more than Xbox One, PS4, and Switch do, even. Another thing, there are games that you can only buy on discord right now, for one year of exclusivity. Is it okay for them because they're not an actual threat to steam? 1. Anyone who calls Steam a monopoly or near-monopoly does not understand the meaning of the word. They should stop posting and take an economics class. Steam does not limit product to being sold on just their site. They do not demand exclusives. They do not demand that if the product is sold elsewhere it must launch on Steam. They are no more of a monopoly than Google Chrome. Both are simply the market leaders of their respective industries by consumer choice. Largely Steam was adopted by developers due to critical mass of the customer base and a consumer-friendly way to copy-protect their products. 2. Right now Epic is good for developers. Devs who feel that they cannot or do not want to compete with existing Steam products do not have to do so on the Epic store. Some developers are getting huge guarantees which helps fund current and future products. They pay a lesser percentage to Epic so they are able to keep more of the sales. This hopefully translates to better games but there is no guarantee of that. 3. Right now Epic is generally bad for consumers. (a) Slightly lower launch prices are more than counter-acted by a lack of competition driving sales and discounts. There is little doubt that prices on average will be higher for Epic exclusives than when sold on from multiple vendors. In the cases where the prices have been reduced those games were available for less from other sources before they were made Epic exclusives. In summary, prices have not been reduced and are not likely to be. (b) Epic's store has no features for customer support via forums, review or other interactions which limit the ability for the consumer to make a more informed purchase. (c) Epic has shown itself to already be untrustworthy with the unauthorized gathering of customer data. (d) The lack of features like Steamworks does not lend itself to as a robust of a modding scene. (e) Limiting market choice and restricting purchases is never a long term win for the customer and (f) they have coerced developers into breaking promises to customers, including Kickstarter conditions. There actually is a case to be made that Epic has engaged in tortuous interference already even if such a case would not be worth pursuing. The only two areas that are advantageous for consumers are (a) free games, of which some have already been offered elsewhere for free and (b) perhaps stronger developers who can better their products. Now that does not mean those will be the only advantages to the consumer long-term. Generally increased competition benefits the consumer. This is by far the biggest appeal of an Epic store but by no means is it guaranteed to ultimately benefit consumers. Currently Epic is not engaged in competition but are actively limiting it to build market share. Whether or not this turns out to be a good approach that ultimately benefits the consumer remains to be seen or if they continue this policy of buying games to limit competition ultimately harms the customer by limiting choice. If the games market devolves into Epic and Steam bidding for the exclusive right to sell games, the consumer will suffer in the end. They will be the ones to pay the cost and anyone who believes increased competition is good should be very fearful of that possibility. 4. On a personal level I will not purchase from the Epic store currently due to their lack of consumer-focused features. They offer no support on the products they sell and the lack of reviews makes it more difficult for me to make an informed buying decision. Focusing on the developer at the expense of the customer is not behavior that I will condone with purchases. On Steam the customer is the user. On Epic the customer is currently the product.